KiptonART Blog: "2010 Time For Change" Special Screening Tonight! 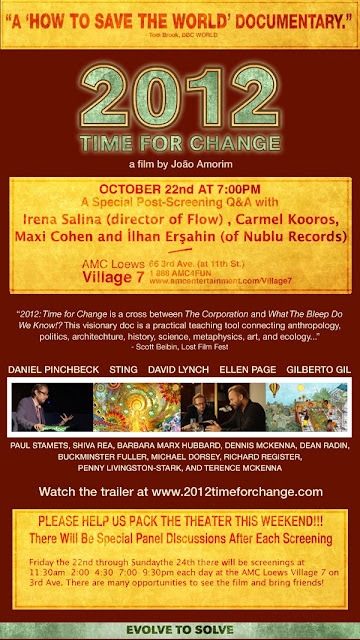 KiptonART Artist MAXI COHEN will be taking part in the special post-screening Q and A for the new film "2010 Time For Change" TONIGHT at the AMC Loews Village 7. The screening and Q and A will start at 7pm.